Nothing is more terrifying than the sight of a feral orc berserker charging the lines with its weapon swinging wildly. 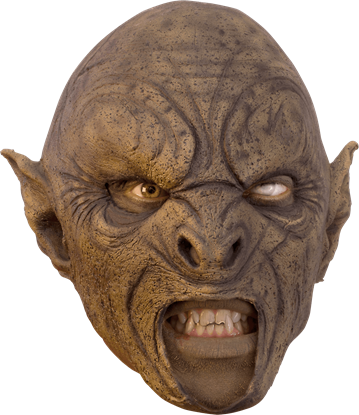 With this Brown Carnal Orc Mask, that rampaging orc warrior can be you at the next live action role-play battle! Lycanthropy does not just turn people into wolf-monsters. Sometimes, it turns them into other hybrids, too. 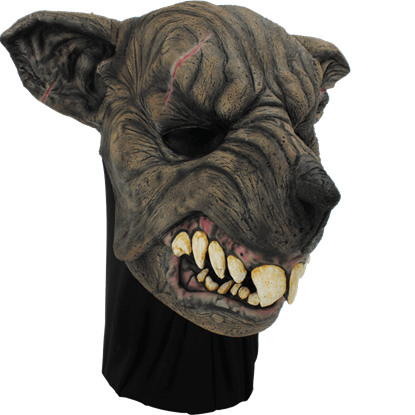 Among those fearsome and frightening creatures is the were-rat, which you can become by putting on this Brown Were-Rat Mask! Combat is all you know. You were born for it, raised in it, and you rejoice in it. At least, you do when you wear the Carnal Green Orc Mask. That is when your monstrous side awakens, and you yearn only for the rush of battle! For many LARPers, the process of creating their own LARPing character is just as fun as bringing that character to life at LARP events. 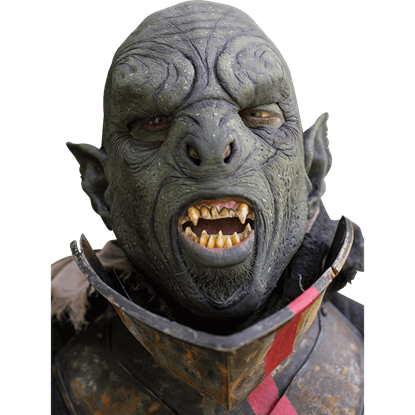 Create your Orcish LARP character with the DIY Unpainted Beastial Orc Mask and have some fun! 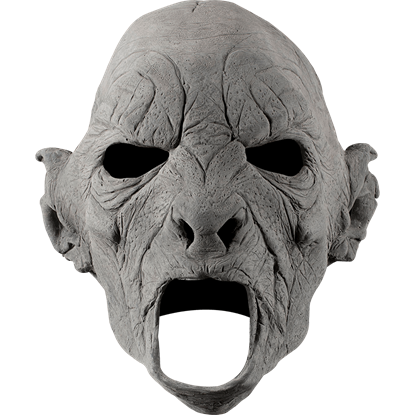 If you wish to test your skills as a Do It Yourself LARPer, then look no further than the DIY Unpainted Feral Orc Mask! 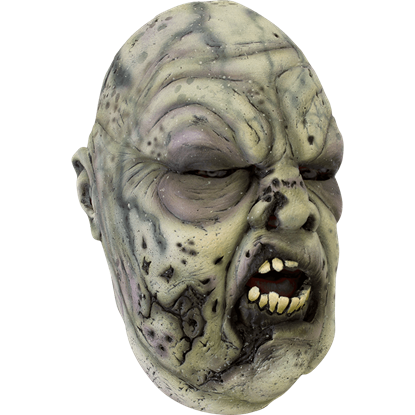 This latex facemask is perfect for crafty LARPers who wish to create an original Orcish character to play! To create your own LARP character is the first step in live action role play. 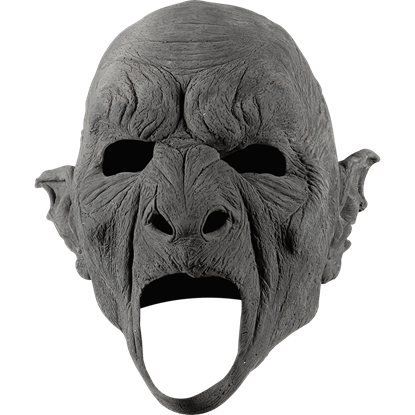 If you wish to be an Orc, choose the DIY Unpainted Orc Beast Mask, grab your paint, and customize the skin color and tone of your very own Orcish identity! You are the oldest warlord in your goblin tribe, but you most certainly are not the weakest! 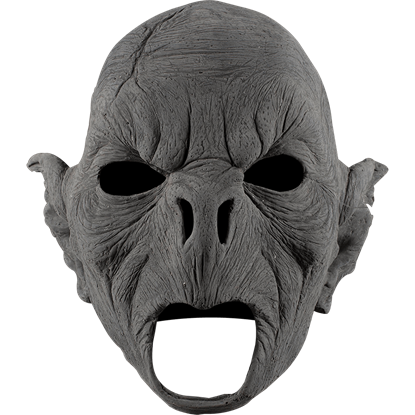 The Goblin Overlord Mask with Hair will let you rule your goblinoid soldiers with an iron fist and look like you have ages of experience. Becoming an orc is not particularly all that easy. Or is it? 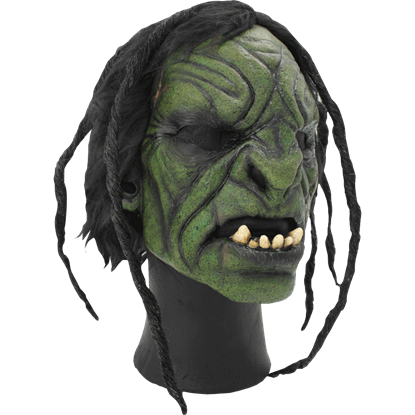 This Green Brutal Orc Mask with Hair makes turning into an orc a simple affair. You will not just be any orc, but one of the most violent looking sub-human monsters around! 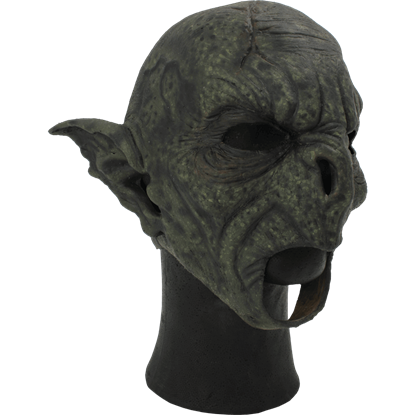 Both goblins and orcs are highly iconic and well-known fantasy races, and this Green Feral Orc Mask merges the features of the two, transforming you into a savage fantasy creature that will send humans running in fear. 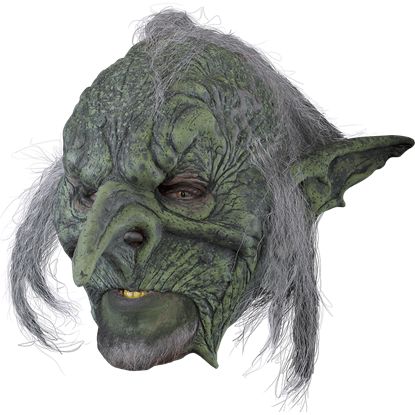 Something inside a human being would tell them that what you do is wrong, but you feel no such remorse when you wear the Green Goblin Overlord Mask. It is, after all, in the nature of a goblin to do things others call evil! 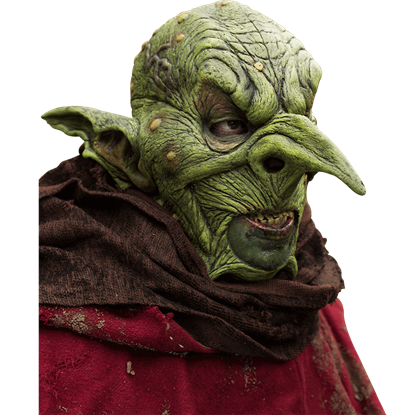 The goblin is one of the iconic races of fantasy and fiction. Sometimes, these creatures are the first victims of an adventuring party. 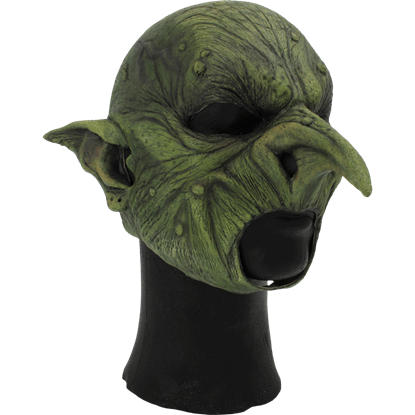 When you don this Green Malicious Goblin Mask, you will be ready to take revenge for goblin-kind!